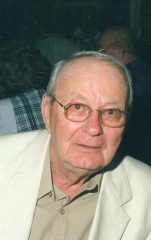 John Sinak, 97, of Fort Wayne, IN passed away on March 25, 2018 at Peabody Health Care in North Manchester. John was born on January 1, 1921 in Newark, New Jersey. He was the founder and owner of Sinak Builders in New Jersey, where he built luxury homes with his son, Jack Sinak, in the Scotch Plains, New Jersey area. Although to this day, there are widely differing accounts of who was actually in charge! John and his first wife, Dorothy, had two children – son Jack Sinak, wife TR, and daughter Pamela Kotovsky, husband Dan. John married his second wife, Joane, and they lived in Florida for many years. John and Joane moved to Fort Wayne, Indiana, where they spent the last twelve years sharing time and memories with his family. John was blessed with three grandchildren, Kenny Sinak, wife Kendra, Kelly Dellagrotte, husband Paul, and Katie Kotovsky, and often boasted of their lives. John is survived by many cousins and family in New Jersey. In addition to being an entrepreneur, John was abundantly proud of his service in World War II. John was trained as a soldier in the 10th mountain division and served in the mountains of Italy. Highlighting his service, John was proud to be selected to participate in the Northeast Indiana Honor Flight. The trip afforded him the opportunity to visit the war memorials in Washington DC. Services will be held on Saturday, March 31, 2018 at 12 noon at Covington Memorial Gardens in Fort Wayne with Military Honors. A meal will follow at the Sinak residence. Memorial contributions may be made to the Northeast Indiana Honor Flight. Eastlund Funeral Home is entrusted with arrangements.